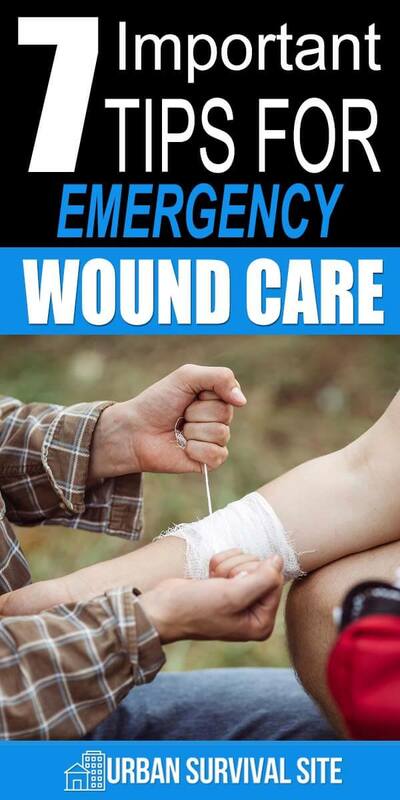 Emergency wound care is one of the primary building blocks of survival. Do you know how to treat a sprain, a fracture, an open wound, or a severe burn? 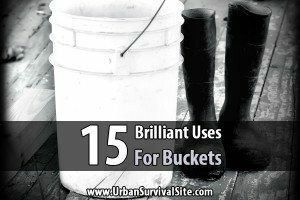 These are things we believe everyone–not just those interested in survivalism–should know. Here are some tips for some of the most common types of emergency wound care. When you need it, you’ll be glad you know it. The internet is by no means a doctor and should never be considered a replacement for medical care or advice. If anything, the internet should be complimentary to your knowledge. Never rely on the internet to self-diagnose or prescribe yourself any treatment or medication. Having said that, the internet is still a great resource and can be of help in an emergency. There are many guides to first-aid and emergency care available on the internet, and it’s almost guaranteed that you can find resources for what you need, whether you’re dealing with a burn wound or a snake bite. 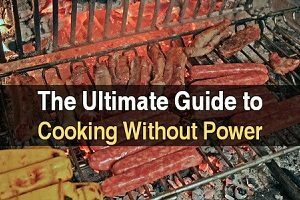 We suggest that you download some guides and familiarize yourself with them ahead of time. Some of these guides, available for free, include WHO’s Best Practice Guidelines on Emergency Surgical Care in Disaster Situations, The American Red Cross First-Aid / CPR / AED Manual, and First-Aid from WikiBooks. Most people know to apply a tourniquet immediately in the case of severe, life-threatening bleeding. Unfortunately, most of the same people don’t know that an improperly applied tourniquet will do more harm than good in saving the patient (or the limb). If the tourniquet is applied too tightly or for more than two hours, you can expect to start seeing nerve, tissue, and blood vessel damage to the wound. That’s entirely counterproductive to wound care, so don’t do it! A tourniquet is a temporary solution. Burn wounds can vary greatly in severity, and the end-treatment will be largely dependent on the size, severity, and cause of the burn. When it comes to basic care, though, the same principles will apply: Sterilized water to cool down the wound, and–if you have it–apply burn gel. What you shouldn’t do to a burn wound is also a fairly universal thing: Do not apply butter, oil, mayonnaise, yogurt, petroleum jelly or anything besides cool, clean water or burn gel. It will likely end up worsening the damage, causing an infection or–in a worst case scenario–cause the wound to continue burning because someone added what’s basically an accelerant. Keep burn dressings (as well as separate topically applicable burn gel) in your first-aid kit. It’s a common myth that wounds will heal faster when they are kept open; the same myth tends to state that it’s the “exposure to air” that causes this accelerated form of wound healing. Now, if you have an open wound–especially if it’s severe–please do not do this. Air is not automatically “clean”, and sure as hell isn’t in most disaster situations, so you should close wounds up properly as soon as possible no matter how small they might look. 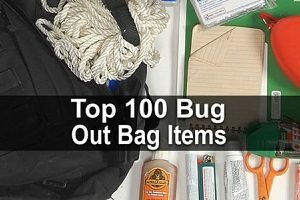 You should always have things like gauze, sterile cotton, and rubbing alcohol as part of your first-aid kit. Doing anything else could make your situation worse instead of better. While asthma is a condition more than it is a wound, it’s something you are very likely to encounter as a medical emergency. First off, asthma is a common condition, for whatever reason, is on the rise again. In 2009, the AAAAI reported that one in twelve people (that’s about eight percent) of the US population has asthma, compared to seven percent in 2001. Can you afford to not know how to treat it? In the event of an asthma attack where the person doesn’t have access to their medication, the first step is to remove them from the trigger of their asthma attack (if at all possible), have them sit upright and keep them calm as panic will only worsen an asthma attack. While it’s not a replacement for asthma medication, caffeine tends to aid in opening the airways, and can be considered an emergency treatment for asthma if you have access to absolutely nothing else. In case someone in your family or group has asthma, be sure you have medication on backup at all times. 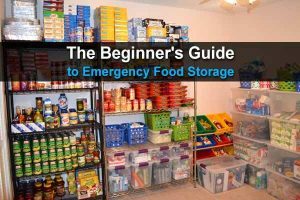 This is as useful for disaster situations like a plane crash as it is for being snowed in for a week and not being able to go to the pharmacy. You can usually pre-arrange this with a doctor (though not all medications are allowed to be purchased in advance–this will generally depend on the type of medication and where you live). Fractures and breaks are bound to happen during a major disaster. Especially if you have small children, you are very likely to see a broken arm or leg at some point during their lives no matter how careful you are. Breaks, especially open ones like the one here, are not the kind of wound you want to fix yourself, especially since it could lead to a bone infection. If you encounter this and you are away from medical help, your best bet would be to sit tight, stop the bleeding, and rest until you can find help. Learn how to make a splint, but understand that this is a temporary measure until emergency care can be found. We don’t want to get blamed for people treating themselves or their children at home when they should have (and could have) gone to a doctor. Sprains are not as serious as breaks, though they will slow you down. Anyone else who has ever sprained a wrist, ankle or anything else will be quick to point out that sprains are painful as hell. Now, your first-off emergency treatment for a sprain is pretty simple: Immobilize the injury and apply something cold to reduce swelling. From there, you want to wrap the injured area and elevate it. This is known as the RICE method. Is your emergency medical knowledge up to scratch? Have you ever had to treat an emergency in the field? Let us know! Great article that will with all probability become critical during their lifetime, maybe for their family members or even strangers. The question is , will I be a know nothing coward or will I step up and be a hero?